Former Australian skipper Ricky Ponting believes that Indian skipper Virat Kohli, who is suffering from a lean patch, would have to find his form back in the upcoming Champions Trophy if the Men in Blue are to record back-to-back titles. "The white ball will do a little bit for the first few overs, but that's generally all you see in those conditions," cricket.com.au quoted Ponting as saying about batting in the UK, where Kohli averaged 58 in India's triumphant 2013 campaign of the marquee event. "It's certainly not (the same as) what Broad and Anderson can do with the red ball in those conditions. "It's just a good challenge for him of where he's at in his career. He's in a little bit of a flat spot but everyone goes through that, and he's well and truly good enough to find his way through the other side," Ponting added. 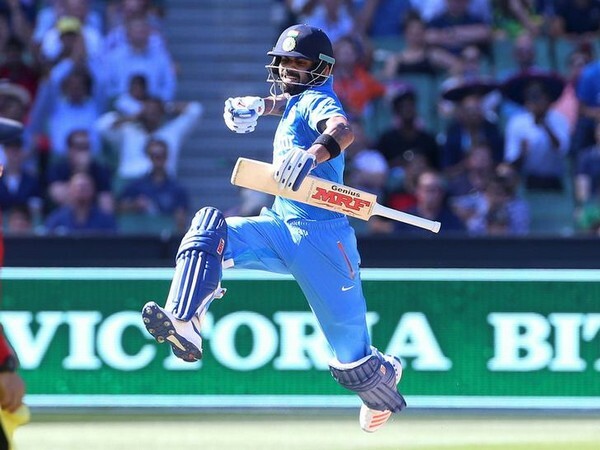 Kohli, who was the world's standout batsman in all forms of cricket in 2016, has been unable to match the standards he had set last year where he posted three Test double centuries, averaged 92 in ODIs, and averaged almost 90 across more than 30 T20 matches both internationally and in the Indian Premier League, including four tons and 14 half-centuries. However, since his last double hundred against Bangladesh in February this year, the star batsman has been struggling with form. He has scored just three fifties in the last 15 innings, and also saw his IPL franchise Royal Challengers Bangalore slump in the ongoing edition, with just two wins in 13 matches. Before that he also struggled in the four-match Test series against Australia and was also criticised by many for his aggression and on-field behaviour. However, the former Australian skipper feels it would be interesting to see how the 28-year-old comes back to form as he would be crucial for India's success at the Champions Trophy. "Because ( India) are going to need him to. They're a very good one-day outfit, but they're going to need their best players playing well if they're going to win the Champions Trophy," he added.